Yellowstone National Park and Montana State University’s Acoustic Atlas are teaming up to produce a podcast and curate field recordings. Entitled “the Yellowstone Collection,” the collaboration showcases a trove of natural sounds, interviews, and radio stories gathered around the Greater Yellowstone Ecosystem. Best of all, the collection is freely accessible through the Acoustic Atlas site or through Yellowstone’s NPS site. According to Yellowstone and MSU, the Atlas plans to use the field recordings in a podcast-style series centered on research in the GYE and issues facing the Park. 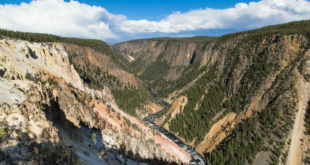 The Acoustic Atlas, founded in 2013 at MSU, includes sound recordings from across the American West; the addition of these Yellowstone recordings is an undoubtedly positive addition to the collection. And it just so happens to coincide with an important time in Yellowstone’s history—and the history of the National Park Service as a whole. 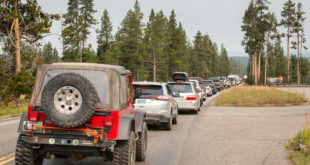 Additional support for the project came through both the Yellowstone Association and Yellowstone Park Foundation, in addition to a grant provided by the Eyes on Yellowstone program hosted by Canon U.S.A. The Acoustic Atlas project marks the largest corporate donation for wildlife conservation in Yellowstone.